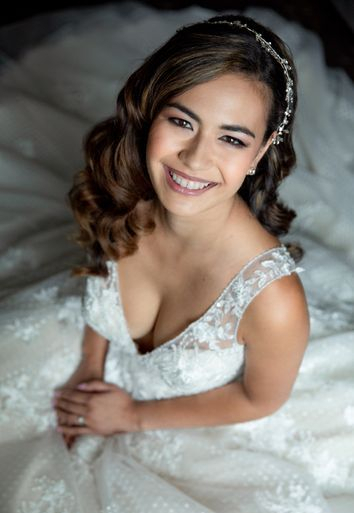 TANJA HUDSON has dedicated herself to making Brides look absolutely stunning on their Wedding Day. She has more than 25 years of experience working with Brides and also as a hair and makeup artist in the fashion & TV industry. 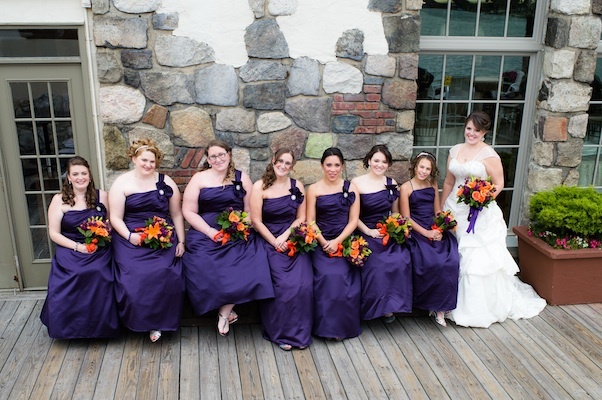 She will patiently work together with you to create exactly what you have envisioned for yourself on your Wedding Day! Before your Wedding Day, Tanja will set up a two hour Trial with you to go over your hair and makeup ideas, discuss the different options that will suit you best, address any concerns and make all the arrangements necessary in advance to schedule her freelance services for your day. Don't be afraid to go all out. If you'd like airbrushing, need hair extensions, false eyelashes, Tanja can pull it all together for you, making you and your bridal party look FABULOUS!! Words cannot even begin to describe the amazing experience I had with Valentine Bride! 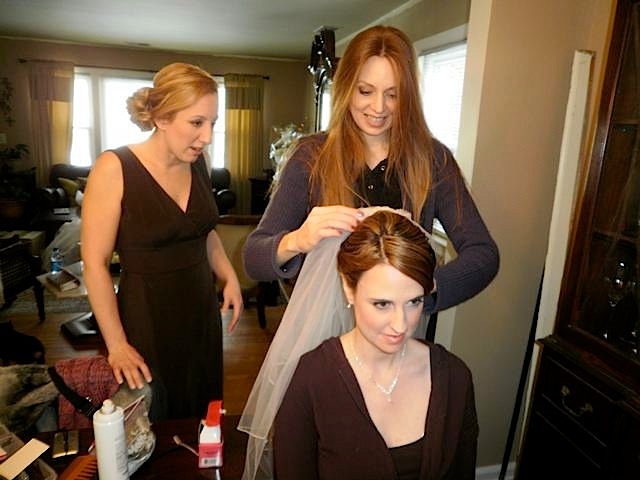 There is SO much pressure on the bride to pick their hair & makeup artist for their special day! There were other artists that my venue, Perona Farms had recommended. I reached out to all of their preferred vendors for hair and makeup and either the customer service wasn’t what I was hoping for as a bride or they just never returned my calls or emails. Tanja had made it very easy since the first time I had reached out to her as she responded so quickly with pricing, availability and trial dates. That being said I immediately put the deposit down to book my trial! The trial was a blast going through inspiration images and working with her experience to get more creative with my selections. I didn’t have an idea on the makeup I just explained how I was imagining the day and she took it from there! As fun as Tanja is to talk to, the moment I turned and looked into the mirror I was speechless. I FELT LIKE A BRIDE! She was so thorough with taking pictures inside and outside of my hair and makeup so she could replicate it exactly on my big day! 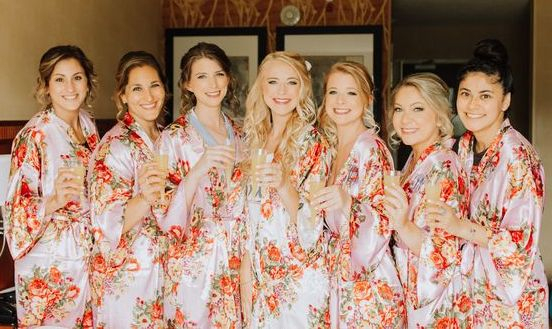 I knew after the trial that I could not only picture anyone else doing my hair and makeup, but I couldn’t imagine anyone else I would want to share my girl time with the morning of my wedding. 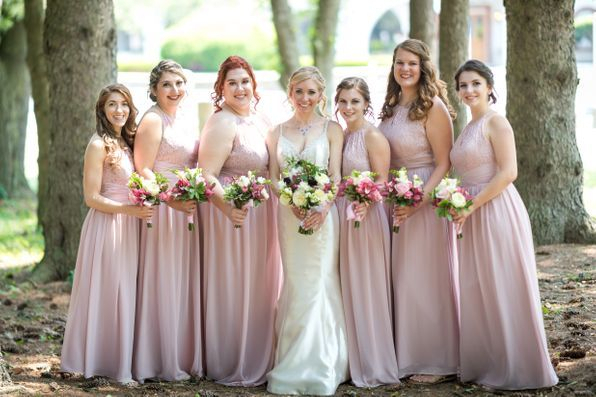 The day of the wedding came and she was able to accommodate all of the requests, all my girls (My Mother, Mother In-Law, Grandmother, Bridesmaids, and Maid of Honor) looked breath taking. I was very lucky to have shared those intimate memories with Tanja & Aphrodite. I had a change the morning of my wedding day because of the way she did my sister in-law’s makeup and Tanja made it so easy to make the change; I didn’t worry for one second. I would like to thank from the bottom of my heart Valentine Bride for everything and would recommend to anyone! The website and pictures will never be able to do this business justice! I would hands down have to say Tanja was the most instrumental and important person in my wedding day and there are not enough words to thank her and her team for what they did! I have NEVER felt so BEAUTIFUL and just perfect in every way! From my first trial with her, I knew she was going to be great! Not only is she friendly and easy to talk to but she listens to your ideas and turns them into a reality. However, like many brides, I was what you could call a little neurotic. When I decided I wanted to change my hairstyle from half up half down to an updo, Tanja set up another hair trial and explained to me that brides change their mind all the time. Then when it came time for my wedding day, I had been having second thoughts about the updo we trialed, and I decided I wasn't in love with it anymore. When I told Tanja on my wedding day that I was looking for something a little different, she just smiled and turned my dreams into a reality at the moment when it mattered the most. When I first looked in the mirror I cried at how perfect she had done my hair and how it was exactly what I wanted! My makeup was perfect too. And every one of my bridesmaids looked gorgeous! Her team was fun and relaxed and everyone in the wedding party only had positive things to say. I would recommend Tanja to anyone for their wedding day needs! I am so happy that I can look back at my pictures and be reminded of how beautiful I felt on that day! Tanja, Thank you for being so incredibly easy to work with. It's no exaggeration to say you made me look the most beautiful I ever have on my wedding day. I can't thank you enough for that! Thank you for being so sweet throughout the entire process - say "Hi" to all your furry friends for me! 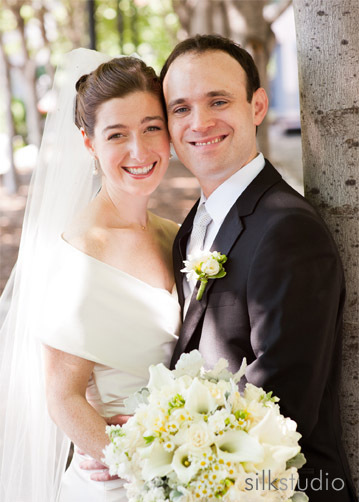 Tanja, by far was the best decision I had made when it came to planning my wedding. She made us all feel so comfortable and relaxed all morning before the Ceremony. 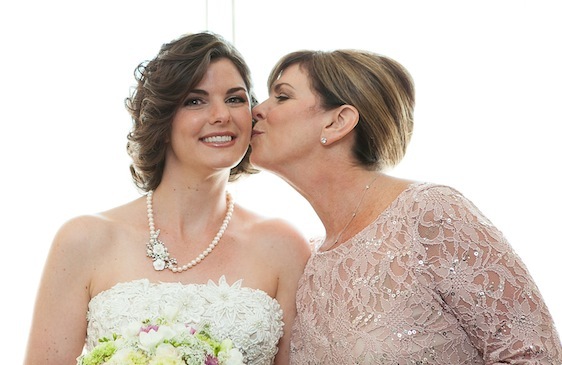 She made my vision of hair and makeup come true for all my bridesmaids and my mother. What I loved most about Tanja's work was her vision and the outcome of my hair and makeup. She listens to what you want and succeeds it. I had a slight change in how I wanted my hair the day of my wedding and she helped me out to make my hair look exactly how I wanted it to look. I was really unsure of how I wanted my makeup done, yet she made me feel and look amazing. I will continue in recommending her to my friends and family. I am so thankful for Tanja and her work. My wedding day could have not gone any smoother. Thanks again Tanja! My name is Stephanie, and I had the honor and pleasure of having Tanja as my makeup and hair artist for my wedding in August for both my court and myself. Words can not even begin to describe her delicate and angelic touch and the atmosphere she brings along with her many talents. She is an amazing woman inside and out. She listens to you, laughs with you, and I'm sure if given the opportunity she would cry with you. I knew the vision I wanted for my makeup an hair but wasn't able to verbally communicate it as well as I thought. After having been to three stylists I knew Tanja was the one. Most stylists rush you, and also don't listen. They take over and assume they're doing you a favor and promise you the day of the wedding it'll look 10 times nicer than in the trial. NOT TANJA! She gives you the exact look for your wedding on the day of the trial; therefore, giving the bride the confidence and assurance that she made the right choice. I truly felt like a princess, and the best part about it is that it lasted ALL DAY!! So for those who are contemplating airbrush vs powder makeup I recommended airbrush. Tanja has the ability to make you look beautiful but most importantly natural. Tanja and her team did a phenomenal job on my wedding day. 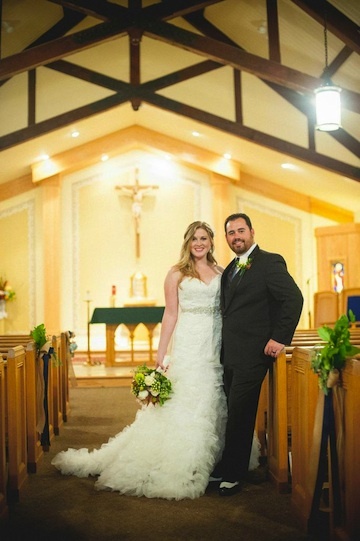 The quality and price of her services was very reasonable especially for larger wedding parties. 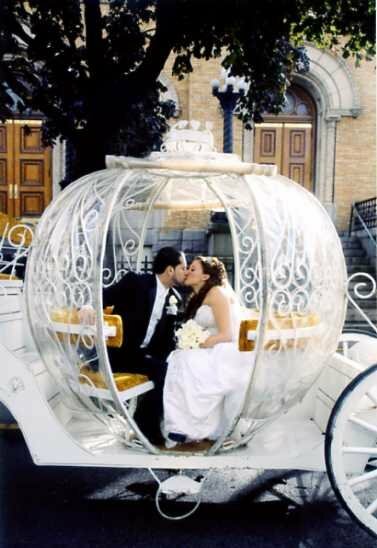 She was also flexible for travel on the wedding day which was a huge plus. 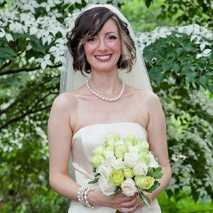 Planning for weddings can be stressful, but Tanja made the process very easy from start to finish. All communication and planning efforts were well-timed and easy to execute. I highly recommend Valentine Bride and their hair and makeup services!! Tanja was great. After much research looking for someone in the Pa area, I was lucky enough to have found Tanja. From the beginning she was quick/ responsive and easy to work with. She managed to get my MOH, mother/ mother in law and my sister law as well as myself done and ready with plenty of time to spare before the photographer even arrived. The moms were more than thrilled with their airbrushed make up and we're taking as many selfies as a teenager lol. That in itself was worth it. But the true magic was done on my hair. Considering the down pour that occurred during the first look and the rain we chose to take photos in not once but twice! -- my limp hair held the curls much longer than I could've imagined. If you want someone who can do it all well, quickly with the plus of being super laid back and sweet --Tanja is your girl! Tanja was a pleasure to work with. From the first time we met for my trial, I knew I was in good hands. My hair and airbrushed makeup came out flawless that day, and looked even better on my wedding day. She proceeded to make me, my mom, and my maid of honor look gorgeous. Our hair came out just as we envisioned and our makeup looked natural which is just what we wanted. Tanja kept us all calm and on schedule and contributed to the relaxed atmosphere of my wedding morning. Her creations lasted all day long, and we looked just as good at 10pm as we did at 10am. If you want a fun spirit with excellent hair and makeup skills, go see Tanja! From first contact with Tanja, I knew we would have a great working relationship. I met with her for a trial several months prior to our wedding. We talked and laughed the whole time! She is so easy to get along with, I felt very comfortable with her and most importantly, the outcome was phenomenal. I chose an updo and airbrush makeup. She made it look so natural which is exactly what I wanted. I almost cried when I had to wash it all out the next day! Her professional background impressed me and her outlook on life is admirable. On the day of our wedding, she got right to work! 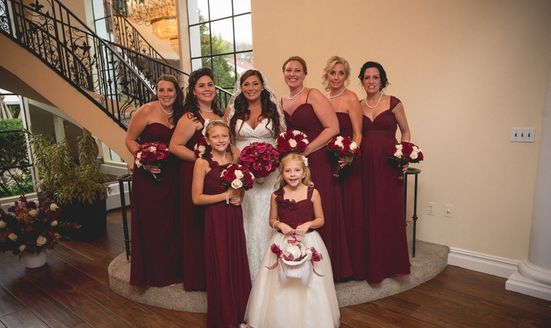 I had 6 girls in my bridal party, plus myself, a junior bridesmaid and my mother. Her and her assistant, Kate, were so fun to be with the morning of my big day! They worked diligently to make sure everyone got what they wanted and that we stayed on schedule. When my 5 year old son arrived in his tuxedo and came up to see me, I immediately started to cry. Tanja and Kate were right there to show me how to protect my makeup from my emotional tears which came in handy serveral times throughout the day! Even 3 months after the wedding, the girls still talk about how beautiful they looked and felt and how impressed they were with Tanja's work. I highly recommend Tanja for your hair and makeup needs! Tanja is SO amazing!! Hair and makeup were two things I wanted the least amount of stress about, and she did such a tremendous job at my trial that I knew I could be worry free on the big day. I felt totally comfortable telling her exactly what I did and didn't want and liked/didn't like, and she went above and beyond my expectations. Choosing her to do my hair and makeup, as well as 6 of my bridesmaids, for my wedding day was one of my first (and best!) decisions I made! She was fantastic to work with, and I'd recommend her to all future brides. I truly felt flawless and fabulous! I can't thank you enough for being part of my wedding day. My mother was thrilled with her hair and makeup (she's a tough customer!) and my sisters and cousin looked gorgeous- their makeup was flawless and lasted all night long. I was especially happy with how my makeup and hair came out. I rarely ever wear more than mascara, and was nervous about getting all made-up for my wedding day, because I didn't want to look like someone else. However, when I got my photos back, I couldn't believe how natural and effortless my makeup looked. It was me, just enhanced. It was perfect! Additionally, my hair stayed the way you styled it all night long- even into the next morning! I had guests telling me they couldn't believe how great it still looked at the end of the night after four hours of dancing. Your professionalism through out the whole process of trials and communication right up to the day of my wedding was exactly what I was looking for. You really listened to what my mother, my sisters and I wanted, and made the whole process so easy. 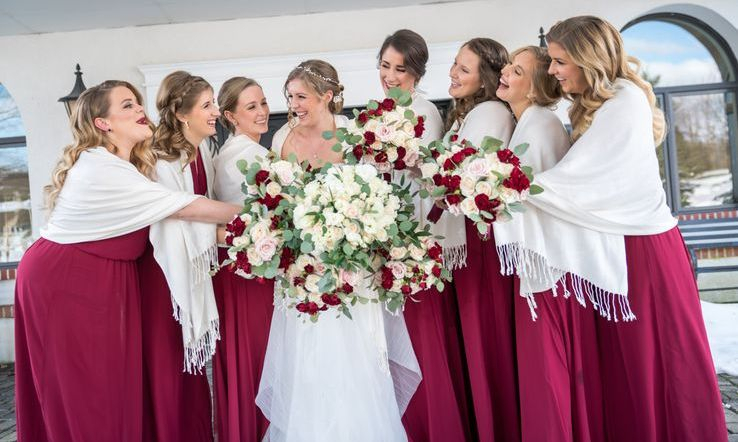 Of all the things there are to fret about during the wedding planning process and you wedding day, you made hair and makeup (which are such a huge part of the day and lasting memories) completely worry-free. I felt confident and beautiful all evening, and I have you to thank! Tanja is such a creative and talented make-up artist and hair stylist! She is also very reliable. From the moment you meet her you gain a great friendship with her. She is such a beautiful person inside and out. The day of my wedding she helped calm my nerves. You talk with her and you feel like you have known her for years. She made me look like a princess the day of my wedding. I'm so glad I chose her to do my hair and makeup because all through out the day everyone was complimenting my hair and makeup. And when I got the pictures I was so impressed at how she did my makeup. ?Thank you again Tanja. I seriously lucked out with everything for my wedding. Especially with Tanja. Not only is she just a completely wonderful person...her talent is above and beyond. When I look at pictures of the day, I look like me, not some made up clown. Everyone was extremely happy with the way they looked, and if they had any problems she was only too happy to make everyone feel great. We started very early in the morning but everyone's makeup lasted all day long and it didn't even feel like i was wearing a ton. I was so happy with using Tanja and can’t recommend her enough! 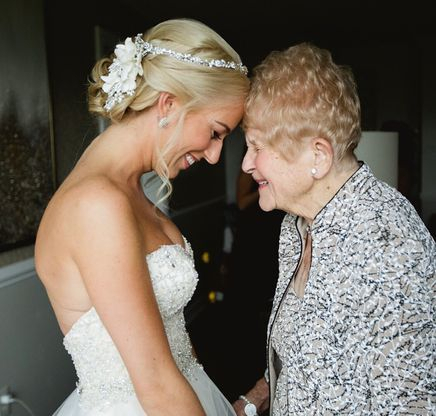 "Thank you so much again for everything you did on my big day! 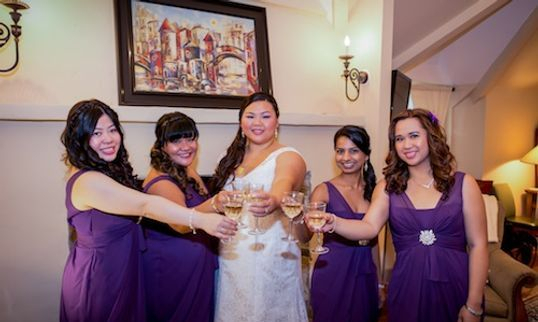 My makeup literally lasted all through my wedding night until the next morning! You really did a wonderful job and myself and all the girls were so happy with our hair and makeup! Until this day I still get complimented on how beautiful my makeup and hair came out. I couldn't have asked for anyone better to make me feel and look amazing that day! A million thanks!" Tanja words can not describe how beautiful you made me look and feel on my wedding day. I can't thank you enough for all your hard work and patience. You truly have an amazing gift to see something once and create it to a tee. Flawless is the word I would use to describe you. My girls and I looked absolute gorgeous, thank you very much to Dawn as well. The amount of compliments I received on how gorgeous my hair and makeup was and the same for my girls was countless. Thank you for making me look and feel like a princess on my wedding night! Congratulations again on marrying your prince charming. Your pictures are as stunning as you are. Thank you so much for making me look so beautiful on my wedding day. From your amazing personality to your flawless hair and makeup skills. I couldn't have picked a more perfect stylist! You truly are a gem! Thanks so much for doing our hair and make up - my now husband was loving how I looked on the day! We really enjoyed your company and we all felt really relaxed...apart from putting on the dress - thank goodness you were there to help with all those ties! Our hair and make up were perfect on the day - thanks very much Tanja. Before any more time passed, I wanted to thank you for the hair and makeup job you did for all of the girls and me for Dana's wedding. You are truly an artist and have an amazing way with people as well. Dana's hair and makeup was just perfect and lasted perfectly through the photos and dancing to the end. She looked just beautiful - all the girls looked beautiful as well! Everyone was very happy with the work you did and enjoyed having you take care of all the details for them. My hair held up for me throughout the entire day and evening and I was very comfortable with the up style despite having shorter hair than I did for my trial. In fact, I did not hear any of the girls complaining of having any issues with hair or makeup not being "right"; for a bunch of stressed out girls, that is saying a lot!! Thank you, also, for accommodating my rushed schedule on that day as well. It was a pleasure meeting and working with you from beginning to end. You are the best and I will gladly recommend you to anyone who might ask. My goodness, what can I say but THANK YOU! It has been a pleasure working with you and having you become apart of our big day! 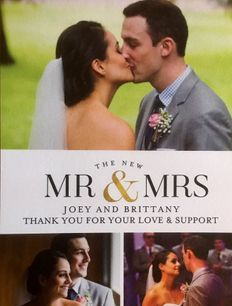 Thank you to you and Stephanie for making everyone so comfortable and making us look fabulous! I have received so many compliments on make-up and everyone in my party felt their best! You are such a doll and I loved having you share our morning with us! I will spread word to any upcoming brides! 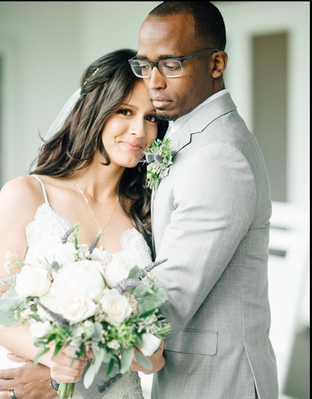 Thank you again for bringing your beauty and soul to our wedding! Tanja not only did an AMAZING job with my hair & makeup for my wedding but she made me feel like a princess the entire time she was with me! She has a gentle touch & works SO quickly that I could hardly believe the transformation that took place! All my girls loved her! Everyone felt fantastic, looked beautiful & nobody even needed to touch themselves up after hours of dancing & celebrating! THANK YOU Tanja!! through the rain and sweat on the dance floor! My lip color stayed on even during the after party! Stephanie. I truly cannot thank you enough for being such an important part of our special day. I promise to send pictures when they are in!! Say hi to Cupid, Chewy and the gang for me! Tanja, Thank you so much for all your help the morning of our wedding. Everyone's hair and makeup looked gorgeous! Your kindness and friendly demeanor also made it a comfortable and relaxing morning. Thank you again for making my vision become a reality. Tanja was a pleasure to work with. From the first time we met her for the trial to the day of the wedding. There were 10 woman for hair and make-up and everyone looked wonderful. She was on time, and was finished by the time she said. 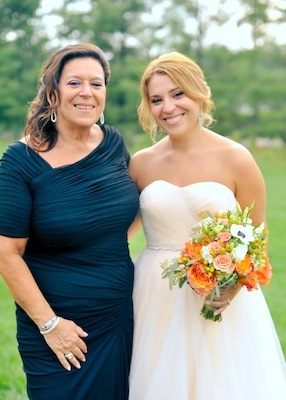 My daughter was the bride and she never looked more beautiful! I personally never felt like I look good enough and I felt amazing! I think I am addicted to air brushed make-up. It's so light, lasted all day in July weather and the compliments I received truly boosted my ego ( even if it was for one day). I hope that I am lucky enough to use the services of Tanja again, besides being unbelievably talented and professional she is a wonderful person and one I feel I can now call a friend. Tanja was fantastic. Not only was she fun to hang out with, she understood the look I was going for and executed it perfectly!!! Also, I had a scar from an injury 3 wks prior to wedding that she covered and no one knew a thing! She was great!!!! 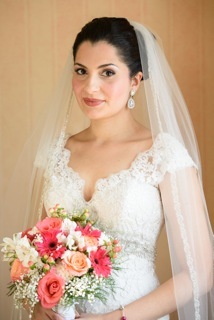 I used Tanja and her assistant for myself and all my girls for both hair and makeup on my wedding day. Not only did she do beautiful work that I was absolutely thrilled with, she really made the morning of the wedding a nice, relaxing time. I would highly recommend using Tanja! Tanja, Thank you for making my girls and I beautiful. You have been such a pleasure to work with. It's been a great time. Thank you for listening and not just doing. Tanja---you made us look AMAZING! Our hair and makeup stayed perfect all day and I cannot tell you how many compliments I got all through the night. Thank you for making the best day of my life even more special.